Gilda is a proven leader of character and integrity. Excellence is her standard. With over 2 decades of full time real estate experience, Gilda has a lenghthy list of proven results, many satisfied clients and experience you can rely on. Gilda, University of Tulsa graduate/alumni, specializes in representing both Buyers, Sellers and Investors in the complete Home Buying/Selling Process. She continuously stays updated with the latest Techniques and Trends in the Real Estate and Internet markets so you gain maximum value from her services. 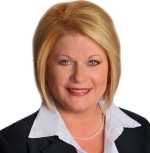 Gilda's main objective is to save you time and money in your real estate transaction. By combining 20+ years of professional knowledge, expertise, real estate contacts and resources in the real estate market, you will receive an efficient smooth transaction from beginning to the end. Gilda is highly skilled in contract negotiations and online marketing concepts. Selling and/or buying a home are one of your biggest financial investments. Choose only a full-time, experienced, professional Realtor® to guide you through your real estate process. Contact Gilda, (918) 808-0224, Gilda@greatertulsa.com for a confidential, private interview today, and "Experience the Professional Difference". your Real Estate and online Web development needs.